The present study was aimed to investigate perinatal outcome of elderly nulliparous patients. 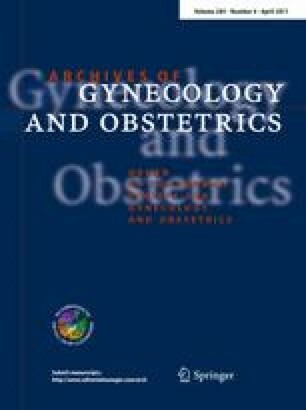 A retrospective study was performed comparing pregnancy outcomes of nulliparous patients at three age groups: less than 35 years (reference group), 35–40 years, and above 40 years. The linear-by-linear association test was used to examine linear association between advanced maternal age and adverse pregnancy outcomes. A multiple logistic regression model was used to control for confounders. Out of 45,033 nulliparous women with singleton gestations, 1,036 were of women over the age of 35, and 188 over 40. A significant linear association was documented between advanced maternal age and adverse outcomes, such as intra uterine growth restriction, low birth weight, congenital malformations, and perinatal mortality. Using a multiple logistic regression model, controlling for gestational age, IUGR and malformations, advanced maternal age was not found to be an independent risk factor for perinatal mortality (adjusted odds ratio = 1.04, 95% confidence interval 0.7–1.4). A significant linear association exists between advanced maternal age and adverse maternal and perinatal outcomes. Nevertheless, in our population, advanced maternal age is not an independent risk factor for perinatal mortality. Presented in part at the 29th Annual Meeting of the Society of Maternal Fetal Medicine (SMFM) San-Diego, CA, USA, January, 2009.